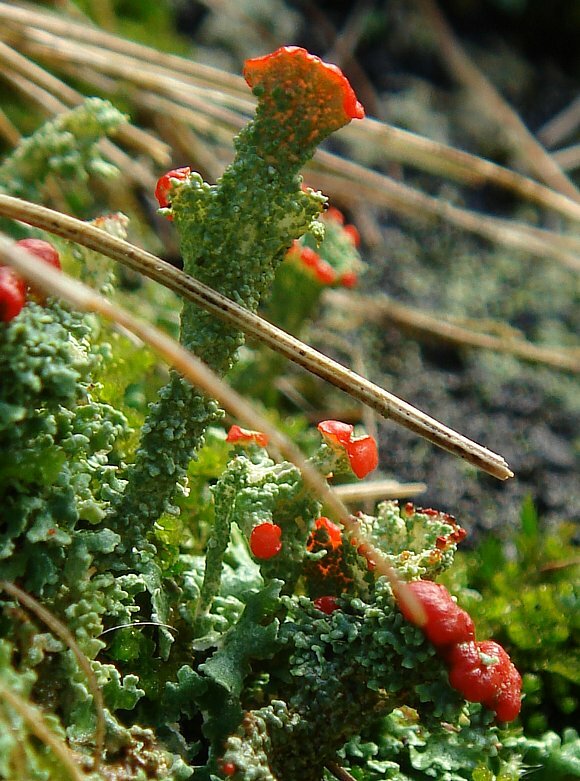 The bright scarlet-red tips are the fruiting bodies of the lichen. 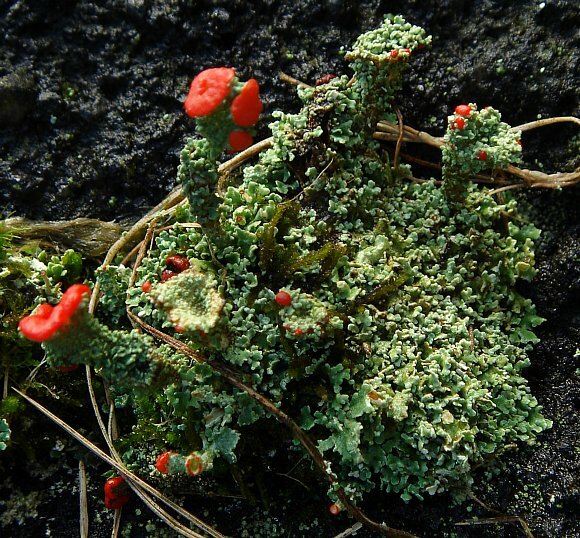 The tube-like protuberances are often tipped red. Sometimes it forms Golf-Tee like red-rimmed cup-shaped protuberances. 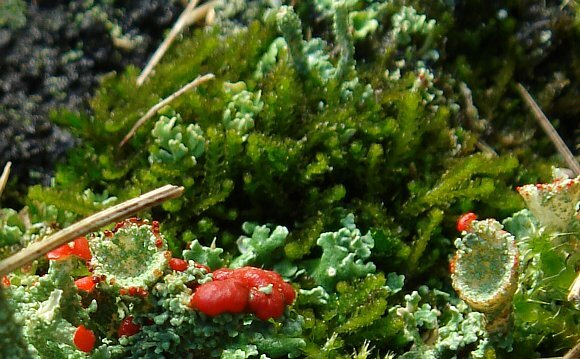 Distinguishing Feature : red-rimmed Golf-Tee shaped greyish green protuberances. It is sometimes known as 'British Soldier' on account of the bright red 'coat' that the protuberances 'don'. 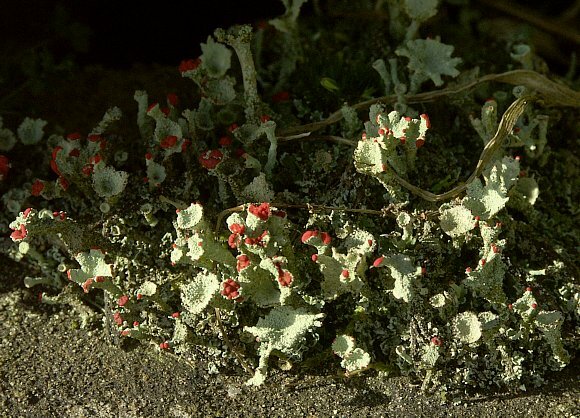 The greyish green brittle lichen has a very scaly appearance. But the most notable feature is the red capping of short-stalked protuberances. These specimens were all growing either on a south-facing wall or on rocks near Pots and Pans, at Greenfield, Greater Manchester. 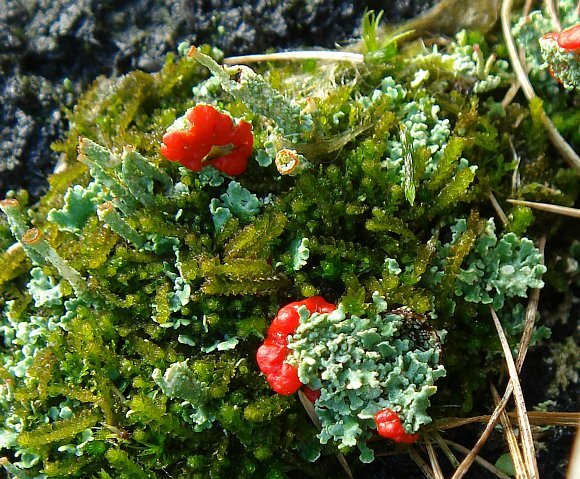 Red Crest obviously enjoys a moist environment, for most of these are growing with mosses of various varieties.